Ralph always made it quite clear that Gang Show was part of the Scout Movement and that the Movement was not part of Gang Show. He devoted his genius and services to the Movement not only in this country but world wide. He never collected any expenses or royalties on any of this material. Needless to say all this great work that he did, at much financial cost to himself, he did for the love of scouting and all that it stands for. 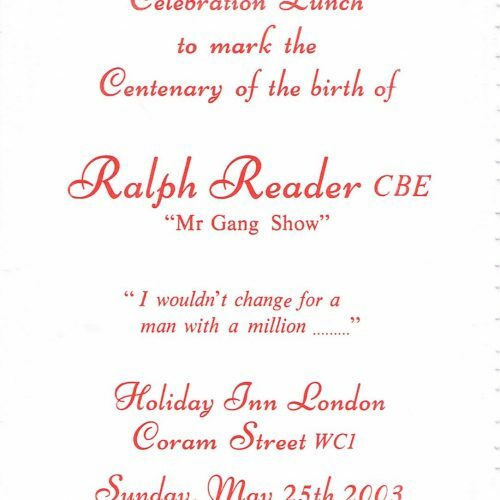 A well loved song of his “I wouldn’t change for a man with a million” sums it up for Ralph who was a living legend in his own lifetime – Broadway and West End Star – Creator of Gang Show – Scouter – R.A.F. Officer – Chief Scout’s Commissioner – C.B.E. – Man among men and so much more. ….The story of a trickle of Holborn Rovers in a one-night stand at the London Central Y.M.C.A., turning into a flood-tide of hitherto unheard-of success, storming the citadel of the London Palladium and being honoured by a Royal Command Performance. It is the story of faith, enthusiasm and loyalty which spread across the world, conquering radio, television, gramophone recordings and a feature film. It put a new word into Scouting and that word was “Gang”. It revolutionised Scout entertainments. Tonight we gather to celebrate 75 glorious years of fun, friendship and laughter for all those who have been associated with “Gang Show”. 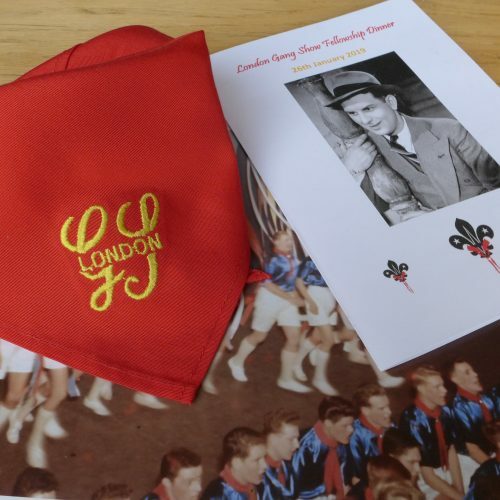 Sadly there are very few London Gang Show members with us now who hold those fond memories of the pre war years at the Scala Theatre, London, and of the 1937 Herbert Wilcox production of the Gang Show Film. For a few gathered here tonight memories go back to the first post war shows at the Kings Theatre, Hammersmith. These were followed for many years with shows at the Golders Green Hippodrome and the Odeon Theatre, Golders Green. The archive contains photo galleries incorporating the history of The London Gang Show.